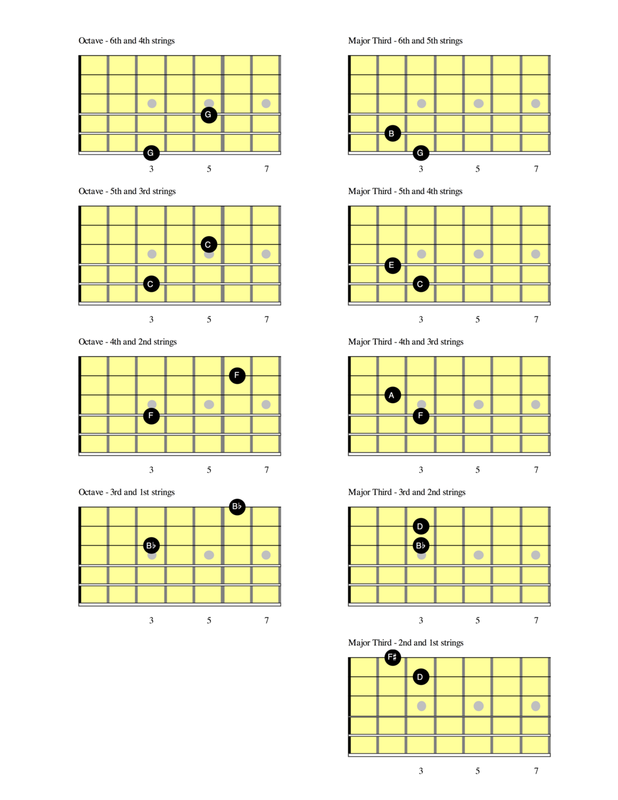 The fretboard diagrams below illustrate two intervals, an octave and a major third, and how their geometric shapes slightly change due to the guitar’s tuning irregularity. By following a similar approach, it is advisable to identify all musical intervals on the guitar's fretboard and become familiar with their configurations. This process will build a network of musical coordinates on the guitar neck any player can rely on.